Hailing from America, Jabberwock—a street basketball team with skills comparable to those of the NBA—has come to Japan to play an exhibition match against Strky, a team of former third-year students who once played in the Interhigh and Winter Cup. However, due to the vast difference in skill, Jabberwock easily wins. Their captain, Nash Gold Jr., mocks the basketball style of all players in Japan by comparing them to monkeys. Infuriated by the nasty comment, Kagetora Aida challenges them to a revenge match. Because of pride and the belief that the results will be no different, Nash accepts the challenge. 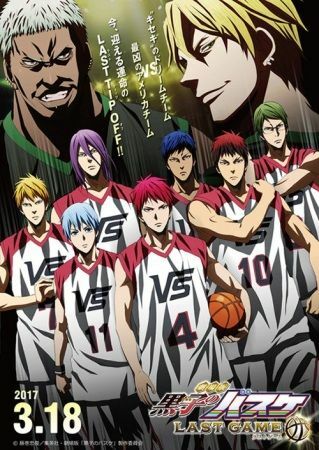 Kagetora then assembles Vorpal Swords, a team composed of the Generation of Miracles, including Kuroko Tetsuya and Kagami Taiga, for they are the only ones who stand a chance against a foe that seems unbeatable from every angle.